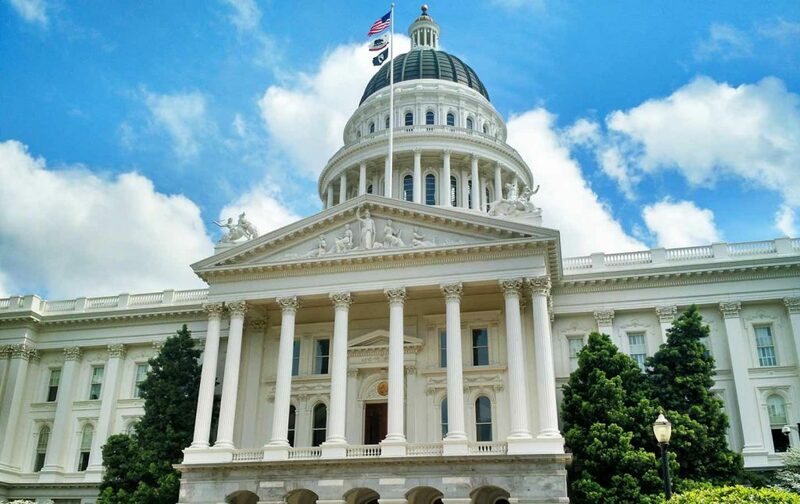 With the introduction today of legislation by Senator Connie Leyva (D-Chino) the California Legislature was presented with the opportunity to prevent thousands of tons of harmful pollutants emitted into our air by heavy-duty diesel trucks. The measure, SB 210, establishes emissions-control inspection and maintenance requirements for diesel trucks weighing more than 14,000 pounds, bringing the hundreds of thousands of these big-rigs on California’s roads closer in line with the smog-check requirements imposed on passenger vehicles since 1984. “Diesel exhaust is particularly nasty stuff, and it’s long past time for polluting trucks to face the kind of inspection requirements that car owners have,” said Bill Magavern, Policy Director for Coalition for Clean Air. About one million heavy-duty diesels trucks operate in California annually. Together, they contribute nearly 60 percent of NOx and more than 80 percent of diesel particulate matter (PM 2.5) emitted in California from all on-road sources. Diesel exhaust contains more than 40 known cancer-causing organic substances and gaseous pollutants, including volatile organic compounds and oxides of nitrogen (NOx), a key ingredient in ground-level ozone otherwise known as smog. More than 12 million Californians breathe air that fails to meet federal clean-air standards. Eight of the nation’s most polluted cities are in California. Diesel engines bear a truckload of the blame. Elevated exposure to ozone and PM2.5 leads to increased hospitalizations, chronic lung and heart disease and premature deaths. The California Air Resources Board (CARB) estimates that the passage of SB 210 would prevent the release of 93,000 tons of NOx between 2023 and 2031 – the equivalent of taking 145,000 heavy-duty diesels off the road – and avert the release of 1,600 tons of PM2.5, equal to parking 375,000 big-rigs. CARB recently passed improvements to its current visual and self-reporting emission-testing programs, but compliance and enforcement are spotty at best. CARB estimates that more than one-third of the heavy duty diesels on our roads and highways are out of compliance with state emissions regulations. It will take a comprehensive smog check-like program for heavy-duty diesel as envisioned in SB 210 to bring relief to those living in communities suffering from ozone and PM pollution – especially low-income and disadvantaged communities. This entry was posted in Clean Air, Port & Freight, Press. Bookmark the permalink. This bill will only hurt companies that are already complying with CARBS Truck and Bus Regulation by further enacting more costs on operation. Companies that are already reporting in the data base are in compliance by having upgrading to 2010 cleaner trucks. If CARB or The Coalition For Clean Air wanted to really clean up the air then you would be perusing trucks that are not registered into TRUCRS. Diesel has been cleaned up 98.8% over the past 20 years. The only way California is going to catch what the call belchers of black smoke is to pout more compliance officers on the roads checking vehicles and giving huge fines for non compliance. Also if a vehicle is sold by a dealer that is diesel the dealer must certify that the motor is 2010 compliant. Thank you for your efforts to preserve our environment.